Discussion in 'Game News' started by schema, Aug 9, 2017. As usesfull as the personnal attacks some people here are launching against each other... this debate of how improving the game is worth of it I utterly agree, the game is at a major corner of its developpment but the way this debate goes and the forms it takes are not good (in my opinion). But damn guys no need for such aggressivity it's juste a game, a game we all love (and hate sometime) we are on the same boat, but with different visions ! Now I've expressed my concerns and worries I will go back to the deep-space of the silencious mass of SMD... because I have ships to build and i'm not interested on winning an argument on a web forum. I'm just curious of what the people want for the game with their propositions and how it goes / collide with the Schine's grand plans. These kinds of posts are easily the least useful posts on the entire forum. We're debating balance and how we think players will interact. It is necessary for the future of the game. We might get heated, but in the end its because we enjoy the game and we all know that its in a formative state. We all want to influence the dev team into steering the game in directions we want to see it go, and to avoid letting it go in directions we don't want it to go. Its good for the game to have these "debates" now when they actually mean something, rather than later when its too late. Sounds good, but even I find really hard to collect ideas on the forum for my upcoming games, because for every unique idea there are dozens of "debates". Every now and then I come back to read about the updates, the new suggestions and the reactions. I hardly ever comment, because I don't want to force my opinion on players who play this game day and night. So I just read the ideas and read the personal attacks nothing to do with the idea, or the game, but related to that specific person's writing skills, communication skills, etc. Obviously I quickly reach the point when I give up, leave the forum, and look for a less toxic community somewhere else. Then a little bit later I forget why I left, and I come back just to experience the same again and again. For a very long time I didn't understand how did this community became so toxic throughout the years. I understand why the peaceful players leave this game. You either build weapons and never use them, or build decorations that cannot be used for anything anyways. The survival aspect is non-existent, everything can be explored in a few hours, and everything can be built or bought in a few days, so also nothing left to achieve. So what left is a horde of so called PvPers, who are always debating about power updates, and limitations, and how they hate every other kind of players, like PvEers, RPers, who want to spoil their lovely little child with their system wrecking ideas. Oh, and each other, they love to hate each other too, except if they get criticized for it by the other group. In that case they quickly become BFFs, and every childish fight between them become useful and cultural debates. So everybody who is not on their side have to leave, or become their common enemy. And I simply didn't understand if every other player left, why are they still here. Why are they keep waiting for new players, for new ideas, for new posts to destroy? There are a lot of other, more polished, more suitable games for their needs where they could prove how skillful killing machines they can be. But they stay here, in a laggy, unbalanced, repetitive sandbox game. Why? And it took months, maybe over a year for me to realize, THIS is their game. 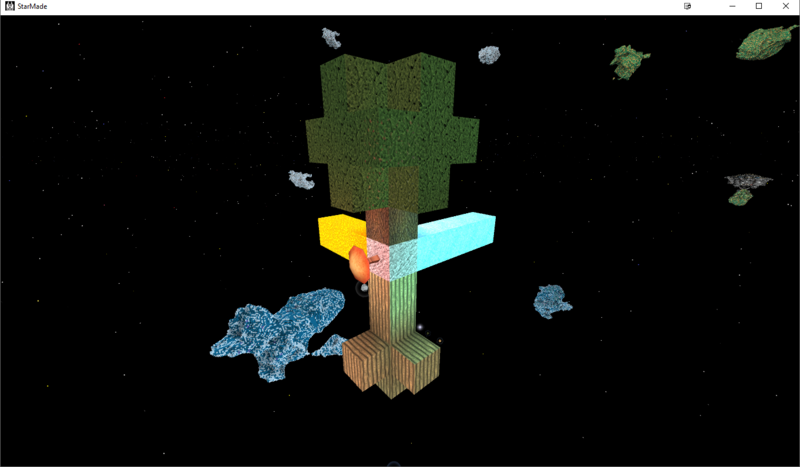 The forum itself is the expansion of their Starmade experience. They are the so called Killers in Bartle's taxonomy. They are killing with cannons, killing with missiles and killing with words if nothing else left. They are not toxic, they are not deaf for productive and exciting ideas, they are players, player vs players, who continue their fight even on the forums. Arguing about that players shouldn't leave just because they attack them in the game, because they can easily fight back. And when their victims come to the forum looking for solutions, they attack them again here as well, forcing them to leave the game and the community entirely. They don't really care about influencing the dev team. For these people a "You are right!" after a 7-page long debate gives a bigger satisfaction than any building, newly explored area, or successful cooperation with a stranger. It doesn't matter of a dev will ever read it or not. The problem is that neither this game in its current state, nor the forum will provide enough joy for any other type of people around. We'll see if the planned aspects and roles of the future updates will be enough to bring them back and endure the constant masturbatory of the PvPers. You forgot "Farmer" and "Rancher"
How would these roles help? -> Builder - Builds Farms and Ranches on Planets and Stations. -> Explorer - Looks for rare Plants and Animals. -> Industrialist - Mass produces Consumable items which are produced from Animal and Plant products. -> Trader - Transports and Trades Plants, Animals and Consumable products. NPCs might have some base consumption rate. -> Fighter - Pirate: More stuff to steal during Raids. -> Imperialist - Own/Control the most expansive Plantations, Become more self-sufficient with less Trade, etc. B. The Player Death penalties could be modified: "Don't lose credits when you die with fewer than X credits" etc. C. If a player makes a mistake and loses everything; have them respawn with the same stuff that a new player would receive. D. To prevent spawn-camping: Have multiple protected spawn zones scattered around the edge of the galaxy instead of one spawn zone in the highly contested center of the galaxy. Allow the respawning player to choose their respawn point. Maybe allow respawning players to pick an allied homebase to respawn at in addition to the available NPC respawn points. E. Add "nearby" satellite galaxies to the starting galaxy and to other galaxies. Then adjust the distances between full galaxies to make a "proper universe." If the universe is big enough, newly joined players will be able to set themselves up in hidden places worth having without being a convenient target to better established players. With these additions/modifications, the game can be made better for everyone. Before I start, I'd really like some of the Devs to read over this. Due to the fact how much this would matter to me and perhaps other people. And, this may have already been mentioned. Starmade has been losing a lot of players. It's because there isn't much "action," towards more interesting functions. Such as faction wars, diplomacy, colonization and that sort of thing. Before I start, I'd really live some of the Devs to read over this. Due to the fact how much this would matter to me and perhaps other people. And, this may have already been mentioned. A living Universe is defiantly on the list, and the long Awaited Universe Update is what we hope will fix it. No one knows what has been done on it, when it will be releassed or what plans they have for it though. We’ve worked long and hard on this, and now we can finally reveal it. StarMade will be getting all new planets! These new planets are according to our benchmarks about a million times faster to load and only take a fraction of memory compared to the old ones! Generating the actual core of the planet was the hardest obstacle to overcome as it required exact placement of one block in a very specific position. One coordinate off, and the block would be in a different position, so we had to work for countless hours on getting those three numbers exactly right. These planets will be visible from all across the universe, as long as you are no more than a mile away from them. They integrate into the game seamlessly. The problems of them not being round has been finally solved by using a cubic sphere representation that looks like one cube block, but, if you squint and tilt your head slightly to the left, actually kind of looks like a sphere. There is so much to explore! As you can see, this planet will have multiple biomes. While exploring you will encounter vast deserts full of sand blocks, deep forests with lots of foliage. Colder areas with ice crystals all over the place.